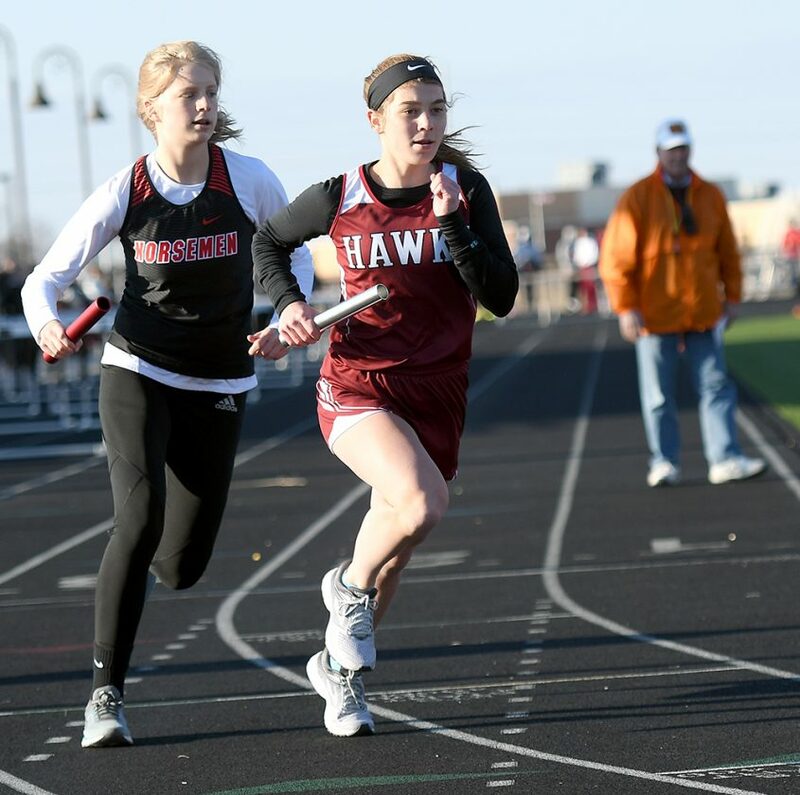 GILBERT — Lily Skartvedt doubled up on the medals in the throwing events to give the South Hamilton girls’ track and field team a solid foundation to build upon at Tuesday’s Lindsey Ellingson Coed. 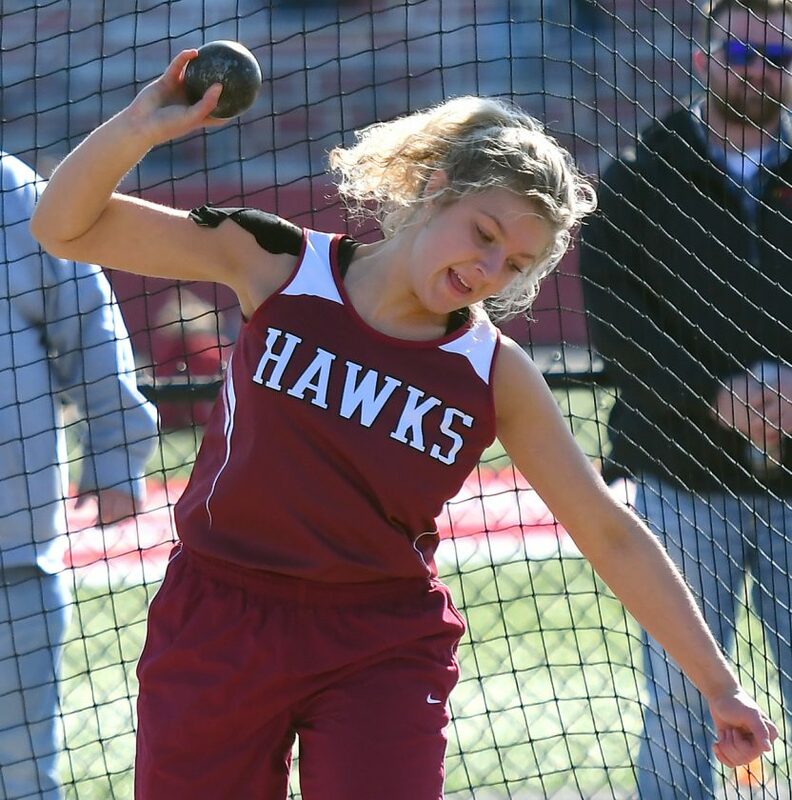 The senior kickstarted her day with a bronze medal in the shot put and then sprinkled in a dose of gold in the discus to supply the Hawks with 16 of their 88 team points en route to a fourth-place team finish. 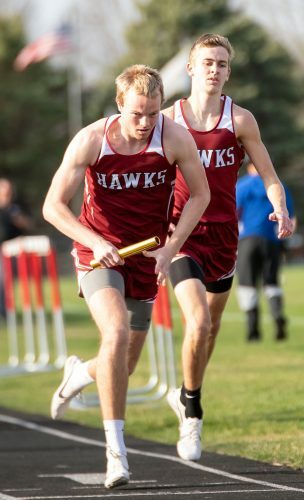 South Hamilton accumulated five medals and finished just outside the top three on five other occasions in a meet that was dominated by host Gilbert (212 points). Roland-Story (133) and Ballard (106) also finished in front of the Hawks. While Brodie continues to see where the pieces fit, his veterans bolstered the group. 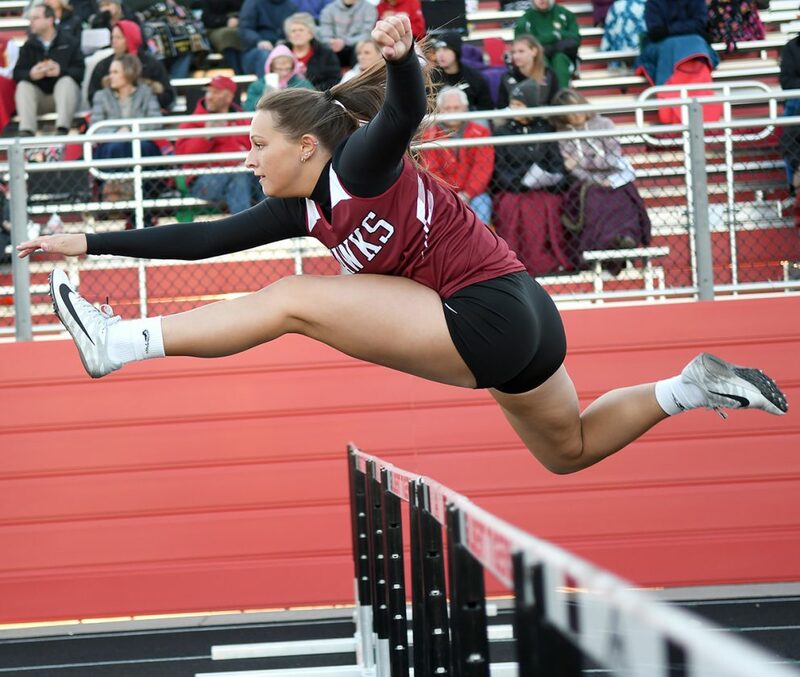 After a lackluster outdoor opener last week in Jefferson, Hailey Cavan returned to form in the 100-meter hurdles with a runner-up showing in 17.36 seconds. She also anchored the 2018 state-qualifying shuttle hurdle relay quartet to third in 1:14.33. Emily Greenfield, Bridgit Schlafke and Rylee Woodall completed the shuttle hurdle relay. The same foursome won the Heart of Iowa Conference title a season ago. The Hawks’ 4×800 of Anna Lammers, Breanne Diersen, Sierra Flores and Paige Seaton was also third in a time of 12:33.43. 1. Gilbert 212; 2. Roland-Story 133; 3. Ballard 106; 4. South Hamilton 88; 5. Saydel 56; 6. Perry 50; 7. Des Moines Christian 40. Discus — 1. Lily Skartvedt 98-0; 11. Mackenzy Grady 75-0. Shot Put — 3. Skartvedt 30-21⁄4; 11. 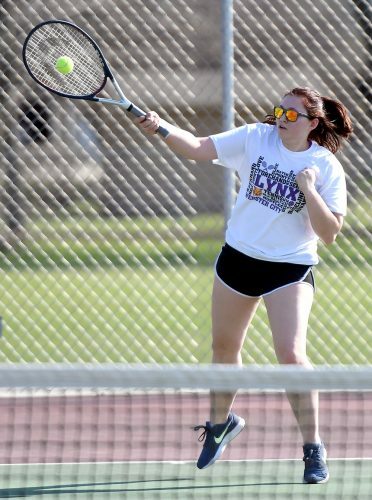 Katelyn Ralston 22-8. Long Jump — 4. Emma Lewis 13-31⁄2; 5. Zaielah Newman 12-11. High Jump — 5. 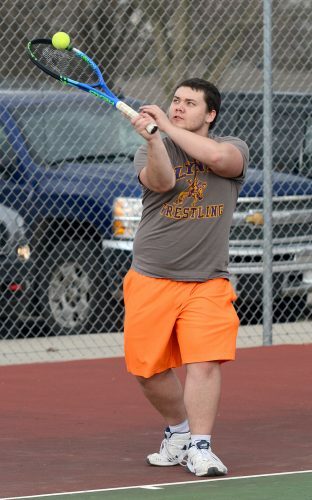 Caleigh Hewitt 4-0. 100 Meters — 8. Lewis 15.01; 11. Newman 15.32. 200 Meters — 10. Hewitt 32.41; 12. Newman 33.38. 400 Meters — 7. Taylor Remsburg 1:13.30; 8. Anna Lammers 1:14.08. 800 Meters — 8. Abby Ervin 2:47.65; 9. Breanne Diersen 3:09.58. 1,500 Meters — 8. Paige Seaton 6:39.68. 100 Hurdles — 2. Hailey Cavan 17.36; 6. Rylee Woodall 17.97. 400 Hurdles — 4. Emma Heeren 1:20.18. 4×100 Relay — 5. 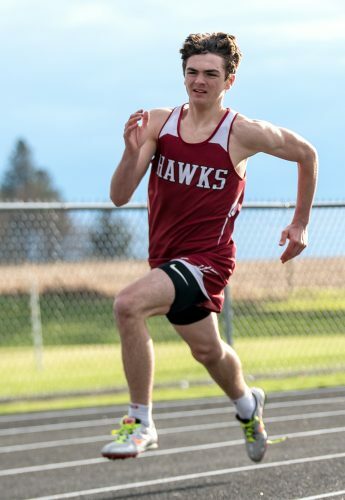 South Hamilton 57.67 (Cavan, Lewis, Skartvedt, Bridgit Schlafke). 4×200 Relay — 4. South Hamilton 2:04.40 (Newman, Kelbe Krumm, Heeren, Grady). 4×400 Relay — 5. South Hamilton 4:54.33 (Remsburg, Emily Greenfield, Lammers, Ervin). 4×800 Relay — 3. 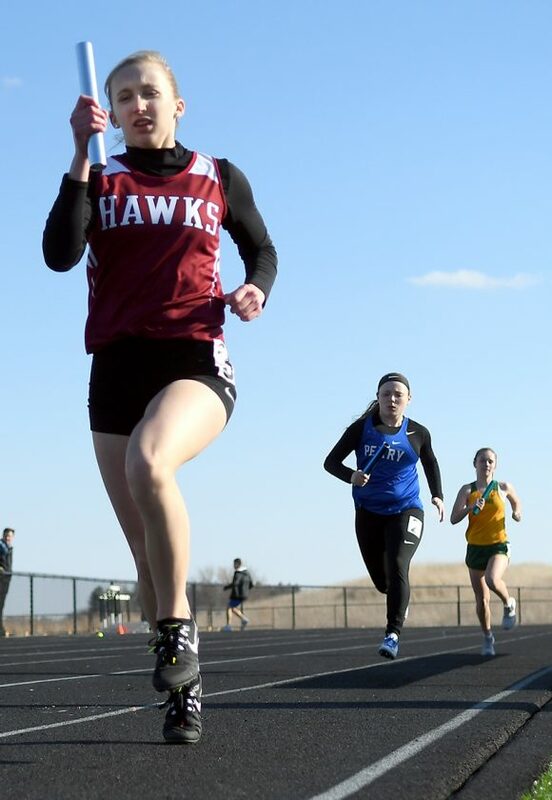 South Hamilton 12:33.43 (Lammers, Diersen, Sierra Flores, Seaton). Shuttle Hurdle Relay — 3. South Hamilton 1:14.33 (Greenfield, Schlafke, Woodall, Cavan). Sprint Medley Relay — 4. South Hamilton 2:08.93 (Cavan, Lewis, Greenfield, Ervin). Distance Medley Relay — 4. South Hamilton 5:06.67 (Heeren, Grady, Hewitt, Yolanda Licea).